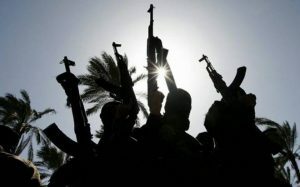 Gunmen have abducted the Vice Chairman of Abaji Area Council of the FCT, Mohammed Rizoma, and two other persons on the Lambata-Izom Road, near Suleja in Niger State. An aide to the vice chairman confided in our reporter yesterday on telephone that the two other persons abducted alongside the vice chairman were his son, Yakubu Mohammed, and driver, Hussaini Peter. The aide said the incident happened at 8:47pm on Monday when they were returning from Lambata village. City News gathered that police from the Lambata Division who were on patrol discovered the vehicle and suspected that the occupants might have been kidnapped and so they moved the vehicle to the police station. City News also learnt that the kidnappers established contact with a special assistant to the Chairman of Abaji Area Council and negotiated for a ransom. When contacted, the Niger State Police Command spokesperson, DSP Mohammed Abubakar Dan-Inna, said he was in a meeting and promised to call back.